Tensions are beginning to mount as the IEM Katowice Major 2019 gears up to kickoff next week in Katowice, Poland. The 16 teams in contention are set to battle it out in the Challengers Stage through a five-round gauntlet with opening matches being held on February 15. The first leg of the Major shows some familiar faces, and some new – despite experience in Counter-Strike’s most prestigious tournament series, or lack thereof, the talent pool of teams in the Challengers Stage is frighteningly deep. We’ll have a look at who’s out for blood in this week’s Snapshot. There have been some important changes to the Major format that are certainly worth noting before addressing the favorites in this tournament. 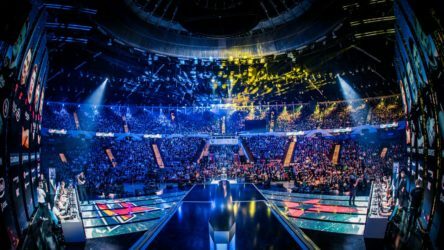 While IEM Katowice will maintain the traditional 16 team Swiss System Format, critical matches such as advancement or elimination matches will be a best-of-three as opposed to a best-of-one. The reasoning behind the change was to more closely mirror the format of the Champions Stage where contenders are tested in a best-of-three setting. The alteration will also [presumably] limit irregular outcomes in key decider games. In other words, ESL would like to move away from cheeky wins where lesser-skilled teams progress due to the nature of a best-of-one. At face value, this change should guide results to be more on course during the Challengers Stage – though, you really never know, especially within this team pool. Last year, you might have been checked into an insane asylum for pronouncing NRG as one of the favorites at the Major – this year, it’s a real possibility. The North American outfit surfaced as title finishers in the Americas Minor, remaining unscathed throughout its course and establishing themselves as a threat moving into the Major. This isn’t the first time NRG has came up on our radars either; the team took both cs_summit 3 and IEM Shanghai while producing a number of upsets against top teams through the previous season. Prior to the Minor, it had been a while since we had seen NRG in action, roughly two weeks to be exact at the ESL Pro League Season 8 Finals where they bombed out quite prematurely. Leading up to our next point, NRG can have some consistency issues – while not as severe as we’ve seen in teams like Mousesports, they can tend to be a hit-or-miss type of squad in many circumstances. Not to take it away from this group – they’ve achieved leaps and bounds since forming in 2016, jumping up from 61st to 9th on the global leaderboards in just a years time. The core trio of Damian ‘daps’ Steele, Jacob ‘FugLy’ Medina and Vincent ‘Brehze’ Cayonte has helped furnish much of their success while the most of the squad excluding Ethan “nahtE” Arnold has played together for over two years – and there’s certainly something to be said about that. All in all, NRG has a fairly bright prospect in the Challengers Stage and poised to make a good run in the totality of the Major. Advancing to the Legends Stage seems promised if they come out swinging as they did in the Minor. If we’re talking teams whom have accomplished so much in such little time, Vitality is likely at the forefront of this notion. Founded in early October of last year, the French roster had set out to establish themselves as a heavyweight in the competitive Counter-Strike panorama. Though doing so is a feat far easier said than done and inclusive of a wealth of time and triumphs, Vitality is well on their way. Led by captain and in-game leader, Nathan “NBK” Schmitt, Vitality had took some time to configure before going on to win the first LAN event they attended as a team at DreamHack Open Atlanta 2018. The Europe Minor would see them advance in 2nd place ahead of forces such as North and OpTic Gaming while leaving behind traces of danger from this team. We saw them play online most recently over the weekend at WePlay! Lock and Load where again they surfaced among threatening competitive measures and stole the show as well as the first place slot. So far, Vitality has been on par with their quest of achieving greatness in professional Counter-Strike. Prior to WePlay! Lock and Load, Vitality may have been pinned as a dark horse in the Challengers Stage; now however, the team has proven to be deadly online and on LAN which has shot their odds up a bit in the grand scheme of the Major. Overall, Vitality’s prospect in terms of advancing through to the Legends Stage doesn’t seem promised just yet, they’ll have to fight for every inch they can get – if they can do so, they’ll be a shoe-in to advance. The signing of Simon “twist” Eliasson and Ludvig “Brollan” Brolin was one that truly appeared to suture the seams within the Fnatic Roster. Our first glimpse of the newest cast was at IEM Chicago where they clashed with Astralis in what was thought to be one of the most exciting matches of Counter-Strike played all year. While thrilling showings against top contenders such as Fnatic’s Semifinal match at IEM Chicago are often thought to be strokes of luck, there was something different here. Fnatic had displayed a level of cohesion in executions and retakes we hadn’t seen from the storied organization in a long time; confidence transcended through the screen and you felt as if you could reach out and physically touch the synchrony within the roster. 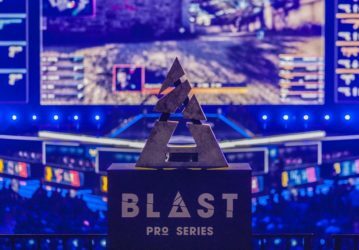 The team polished off the 2018 season with an impressive title finish at PLG Grand Slam 2018 where they quite convincingly ran through the bracket only dropping a single map through the entire event. It’s hard to pinpoint which exact area of Fnatic is making this new roster gel so well but whatever it is, it’s real and it’s there. The Challengers Stage is going to be a real test for them with some more fortified competition in their way; though, if Fnatic can get off on the right foot, this seems a team ready to parlay their momentum through the tournament – Challengers Stage and beyond. Though we’ve only mentioned a small sample from the Challengers Stage, none of these teams can be taken lightly barring the Minor performances we’ve witnessed leading up to the event. No matter which way you slice it, this tournament is going to be a true dogfight.